Webdev is a loosely affiliated group of developers across the Mozilla Project who make web sites and services. We make the inter-tubes happen by working on servers, clients and services. 2 How can I join? 3 What does Webdev do? 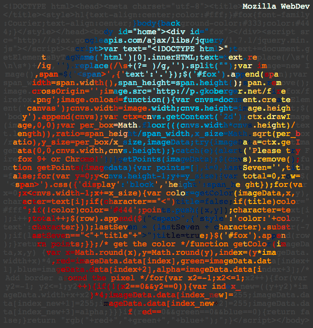 Mozilla is known for making Firefox, but it turns out we also make a ton of websites, web services, etc. There is no one team that handles all of this; there are contributors in every area of the community, paid staff and volunteers, who all do something that could be considered "Web Development". There's a lot of good reasons for having a Webdev group, from supporting contribution to knowledge-sharing. So we have a group. But what do we do? localForage, a simple API for asynchronous storage. Mortar, a collection of Open Web App templates. django-browserid, a library for hooking up Persona authentication to a Django site. The Webdev Extavaganza, a monthly meeting to share news about web development across the Project. Beer and Tell, a monthly meeting to show off side-projects you've been working on (beer optional). A collection of links to useful guides and tools for Git (and GitHub). A bunch of unfinished TODOs. Contribute to one of our projects or libraries. Ask or answer a question on our mailing list. Show off your side-project at our monthly Beer and Tell. If you're not sure what to do, send us an email and tell us about yourself and what you might be interested in. We're happy to help! This page was last modified on 5 June 2018, at 13:25.